Nadjulyodochkovaya arrhythmia - what it is. Nadjulyodochkovaya arrhythmia in adults and children, the heart rate on the ECG. Cardiovascular diseases are diagnosed at all ages, but there are forms of rhythm disturbances that can be defined in both the elderly and children. Nadjulyochkovaya arrhythmia refers precisely to such disorders. Whether this disease is going to be considered in detail is dangerous. Any form of arrhythmia is a change in the sequence, frequency and rhythmicity of the heart contractions. 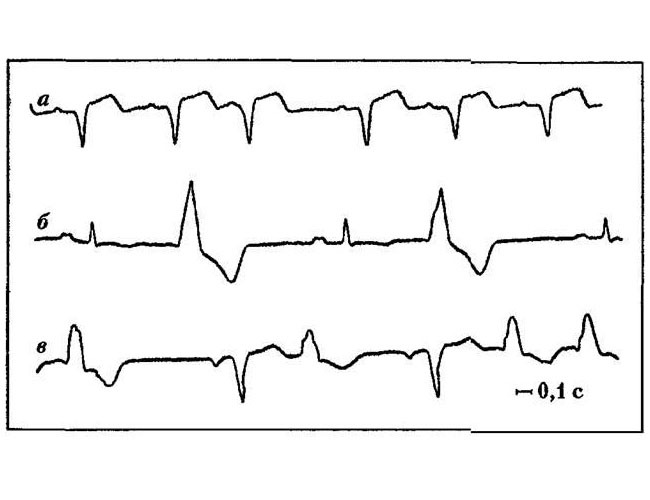 During supraventricular arrhythmia, a rhythm disturbance is observed directly in the atria. Also, the pathological focus can be located in the atrioventricular septum. Incorrect heart activity is manifested in additional cardiac abbreviations. The incidence of supraventricular arrhythmia is 65% on average. Such a high incidence is due to the fact that this form of arrhythmia is often observed in clinically healthy people. The disease is mainly diagnosed in the elderly and adolescents, although it often happens that arrhythmias develop on the background of cardiac pathologies in infancy.Asymptomatic manifestations are mainly determined during the examination of infants or prophylactics of the able-bodied population. 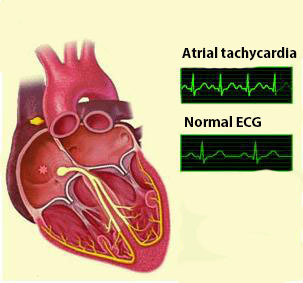 Nadjulyochkovaya arrhythmia (NZH) is still defined as atrial or supraventricular. The source of extraordinary contractions is located in the atria, that is, over the ventricles, hence the name of the pathology. The basis of NHA formation is the formation of a pathological focal point of trigger activity, which sends periodic extraordinary impulses. In some cases, an electrical signal is transmitted by the atrium or atrioventricular node through the reentry mechanism, then a cyclic propagation of the pulse is observed, leading to acceleration of cardiac activity. Development of supraventricular arrhythmia can occur on the background of cardiovascular diseases, which is characteristic of the elderly, or without visible clinical signs during the formation of the organism, that is, children and adolescents. If the pathology is associated with other cardiovascular disorders, then it is important that the cardiologist undergoes regular examinations. Otherwise, it will be necessary to know what is dangerous to supraventricular arrhythmia, on their own experience. feeling heartbeat or turning the heart into your chest, jumping from chest. Further to the given symptoms are added specific for the main illness of manifestation. 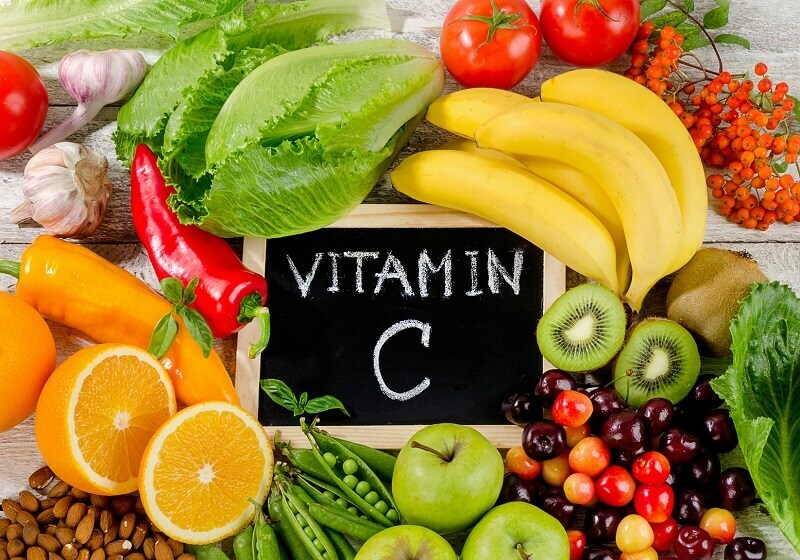 With neuroses, panic attacks, or vegetosulmonary dystonia, it may be excessive sweating, a feeling of heat in the body, irritability, the appearance of fear of death and anxiety. Cardiac insufficiency feels weakness, dizziness, cardiac arthritis (cardiac pain). For hypertension characterized by an increase in blood pressure, noise in the ears, "knocking in temples." Only a physician can make a sound justification for involvement of supraventricular arrhythmia in one or another disease. Asymptomatic neovascular flow is mainly associated with functional disorders. These may be the same VSD or neuroses. With hormonal disorders (during pregnancy, climacterism, adolescents), arrhythmia is observed both at rest and in physical or emotional stresses. Also, the thyroid gland pathology, the bronchopulmonary system may contribute to heart failure. 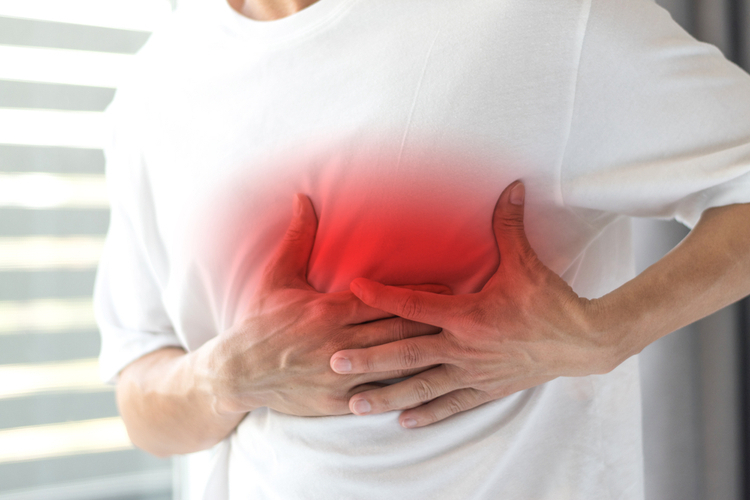 After the abundant food, the parasympathetic nervous system begins to predominate, and, with its activity, a heart failure occurs. The condition worsens when you receive a horizontal position immediately after eating. Appealing to a doctor should be not only with pronounced supraventricular arrhythmia. When determining the asymptomatic course of the disease, it is also necessary to undergo periodic examinations of the cardiologist or arrhythmologist. It has been noted above that in the development of arrhythmia, the provocative factor that can have a functional or organic origin is played by the primary role. infectious processes accompanied by high temperature. pulmonary heart developed against a background of pulmonary hypertension. Some metabolic disorders, in the form of a lack of potassium, magnesium, and renal insufficiency, can also contribute to the development of NSAIDs. The use of cardiac glycosides, sympathomimetics, theophylline and antiarrhythmic drugs in the wrong dose can cause supraventricular arrhythmia. The presence of a hypoxia in a patient, which is commonly encountered with anemia, heart failure and bronchopulmonary disease, may be affected by cardiac arrhythmias with localization in the atria. The pathology is quite variable, so it is divided into three types according to the nature of manifestation: tachycardia, bradycardia, extrasystole. All extrasystoles differ in frequency, localization and number of ectopic focuses, as well as at the time of the onset of an attack. multiple - defined by more than five extrasystoles. It can be determined directly in the atrium or atrioventricular node. In any case talk about supraventricular arrhythmia. Atrioventricular arrhythmias are characterized by the location of an ectopic focal point in the septum located between the atrium and the ventricles. When determining with the help of special methods of research of one ectopic focal point, speak of monotonous extrasystoles. The presence of two or more pathologic foci indicates polyclonal extraordinary cardiac contractions. Late - characteristic for the period of reduction of ventricles, can also be formed during the relaxation of the heart (in diastole). Electrocardiography - is one of the main methods of studying patients with arrhythmia. Provides detailed data on the nature of rhythm disturbance, the location of the focal point, the frequency of cardiac contractions. The research takes a little time - up to 10 minutes. The safety of the study is very high, so it is allowed to spend it from one month. ECG decoding allows to reveal practically all forms of supraventricular arrhythmia, the number of focal points, their localization, the time of occurrence of the extracystal. 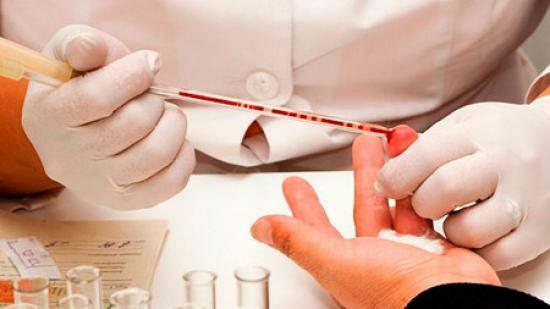 The wide availability of this method of diagnostics makes it indispensable for medical examination and prophylactic examinations, during which a large part of NSA is determined. Cardiac heart rate is most often increased, more than 100 times per minute. Daily ECG monitoring - is to apply sick sensors in the breast region that are connected to the recording device. The goal is to write a heart rate for a day or a few days and then decode it using special programs. This makes it possible to detect rare attacks that may not be detected on a standard ECG. Echocardiography is a modern diagnostic method that works on the basis of ultrasound. When using echocardiography, the organic and functional state of the heart and blood vessels is evaluated. For example, using an ultrasound, the thickness of the atrium is determined, which in the normal state on the left side should be no more than 4 cm. In the case of asymptomatic current or in a patient with minimal discomfort, no specific treatment is performed. In such conditions, it is enough to adhere to a healthy lifestyle and eat properly, so that there is no aggravation of the flow of arrhythmia. If the pathology gives the patient a psychological discomfort, then antiarrhythmic drugs can be prescribed - sotalol, amiodarone, propafenone. radiofrequency ablation - is a minimally invasive operation, which in some forms of arrhythmia helps to get rid of pathology by 100%. In particular, good efficacy from RFA is observed in the WPW syndrome. Proper nutrition - should consist of non-lean varieties of meat, fish, in the diet should include a sufficient amount of plant products. Physical activity - should be at the level acceptable for the patient so that the heart is supplied with enough oxygen and nutrients. 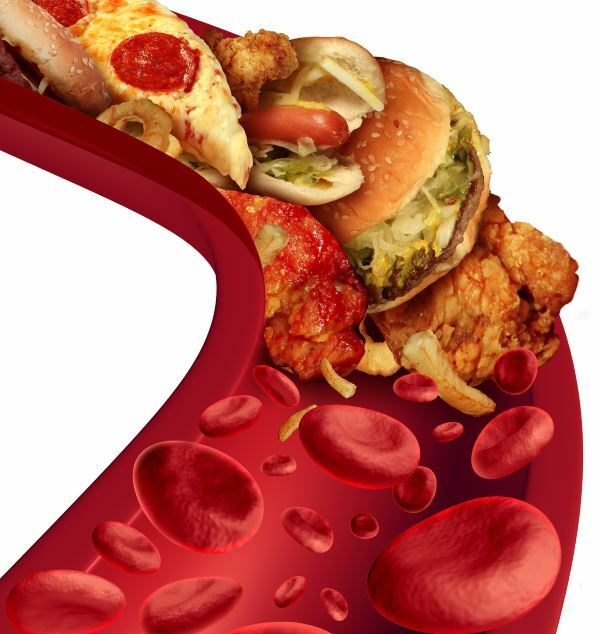 Maintenance of indicators of glucose and total cholesterol in the blood within the normal range. Also, the mass of the body should correspond to the age and physiological norms.